Meet us: the staff, PhD and undergraduate students, former staff and alumni. Follow the Department into the past and present. Judge the research overviews and publication lists. 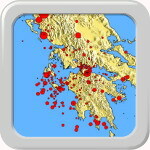 Glance at the pages of Consortium SW3D and our seismic stations in Greece. Evaluate international collaborations of the Department, e.g., in EU projects MAGMA, SPICE and c2c. 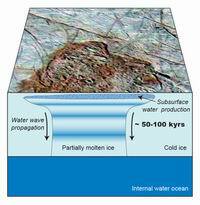 Enjoy our efforts to popularize geophysics, watch the TV & radio interviews. 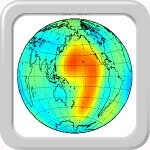 Study the study programme of geophysics, overviews of courses and lists of seminars on seismology and geodynamics. Download the lecture notes, both recent (Brokešová, Martinec, Matyska, Novotný, Zahradník) and age-old (Láska, Zátopek). Click the link to the catalogue of Geophysical Library. Ex-post review the defended theses, or choose a new topic of your future bachelor thesis. Corinth Gulf separates the continental Greece from Peloponnese peninsula. 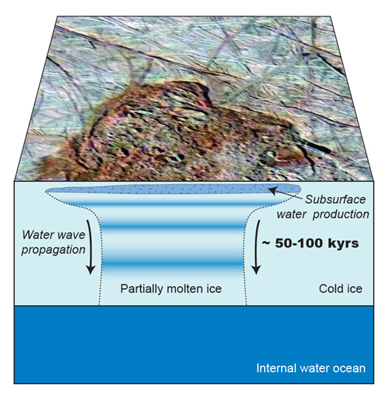 It is believed to represent extensional tectonics (rift structure) characterized by recent horizontal motions as fast as a few millimeters per year. As such, it belongs to seismically most active regions of the Mediterranean. Last destructive event of M=6.2 occurred in the Gulf close to the city of Egio in June 1995. The city of Patras, hub of the western Peloponnese, was damaged by the 1993 earthquake. The key role in understanding those earthquakes, and predicting ground motions during similar future events, is played by detailed seismic observations. 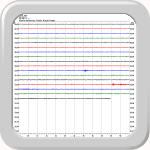 Western part of the Corinth Gulf has been monitored since 80's by PATNET, the short-period telemetered seismological network of the Patras University, covering the whole western Greece. Since November 1997, our broadband stations have been operating in the Gulf as a long-term temporary network, jointly managed by the Charles University (Prague, Czech Republic) and Patras University. For more information, visit pages of our stations in Prague and Greece. 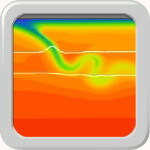 The research of the geodynamic group covers a broad range of problems, such as computer simulations of mantle convection; viscoelastic relaxation, with particular applications in postglacial rebound; boundary-value problems of physical geodesy; geoid inversion; electromagnetic induction in the mantle. The Earth's magnetic field is created by thermal and compositional flow of conductive iron in the Earth's core. Its short-term variations caused by interactions of the magnetosphere and ionosphere with the solar wind allow us to study the electrical properties of Earth's mantle by means of electromagnetic induction. We participate on software development for the upcoming Swarm multisatellite mission by ESA and on installations of new geomagnetic observatories in remote areas (see real time data on the webpage of ETH Zürich. In Swarm+Oceans, a new project commissioned by ESA, we aim to predict and detect the magnetic signals of tidally and atmospherically forced ocean flows along the trajectories of Swarm satellites. 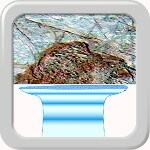 In the past decades, the spacecraft missions brought many informations about the planets and moons in the solar system. The data available for several planetary bodies comes from the gravity measurements and the remote sensing. The usually interpreted informations about the distant bodies are gravitational data, presence of the magnetic field, the surface features of tectonic or volcanic origin and observed heat flux. We interpret these data and predict the internal evolution and structure using both forward and inverse modeling. 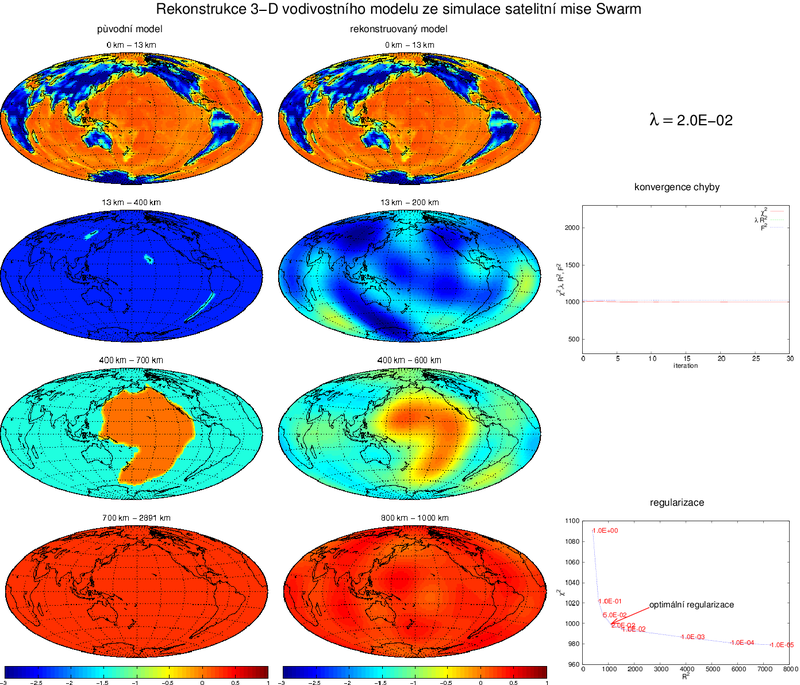 The consortium research project Seismic waves in complex 3-D structures (SW3D), started October 1, 1993. It focuses primarily on the fundamental issues of high-frequency seismic wave propagation in complex 3-D isotropic and anisotropic structures, which go beyond the traditional approaches. The ray method and its recent extensions as well as its combination with other methods are mainly applied and investigated. The emphasis is put on new, stable, more efficient and flexible algorithms for the forward numerical modelling of seismic wave fields in 3-D inhomogeneous, isotropic and anisotropic structures. Considerable attention is also devoted to applications involving shear waves, converted waves, shear wave splitting in anisotropic media, particle ground motions, etc. After 88 years, the IUGG General Assembly comes back to Prague. Join us from June 22 to July 2, 2015 in the Prague Congress Centre. Visit the conference webpage. SquirrelMail. G-Calendar. guptime, past. Heliplots. Google Site Search, AW Statistics, Wayback Machine. Last revised: June 3, 2015 (webmaster).